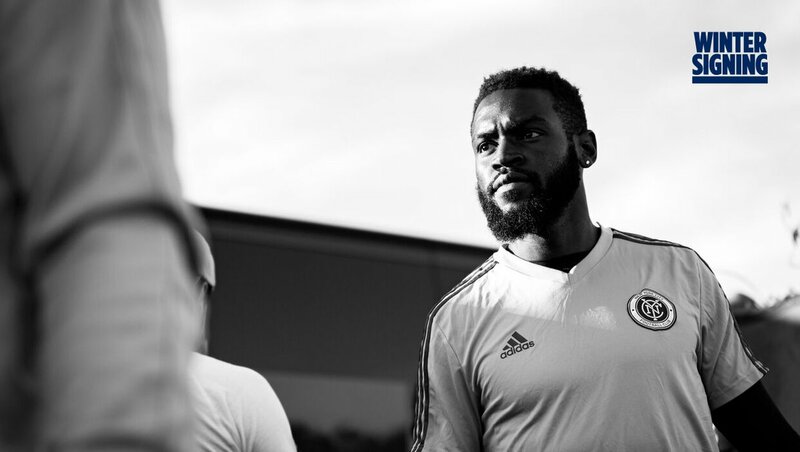 New York City Football Club announced that Sebastien Ibeagha has joined the club on a transfer from USL affiliate team San Antonio FC after spending preseason with City in Florida, LA and Mexico. Ibeagha, a 26-year-old central defender, is a former U.S. U-20 international and the reigning USL Defender of the Year. He becomes NYCFC’s ninth addition of the offseason, following Saad Abdul-Salaam, Jo Inge Berget, Cedric Hountondji, Jesus Medina, Ebenezer Ofori, Brad Stuver, Ismael Tajouri-Shradi and Anton Tinnerholm to the Club. Tie Break Tens, the new fast-paced, short-form tennis competition, announced that Chinese tennis star Shuai Zhang will compete at its inaugural tournament in the United States at the iconic Madison Square Garden in New York City on Monday, March 5, 2018. 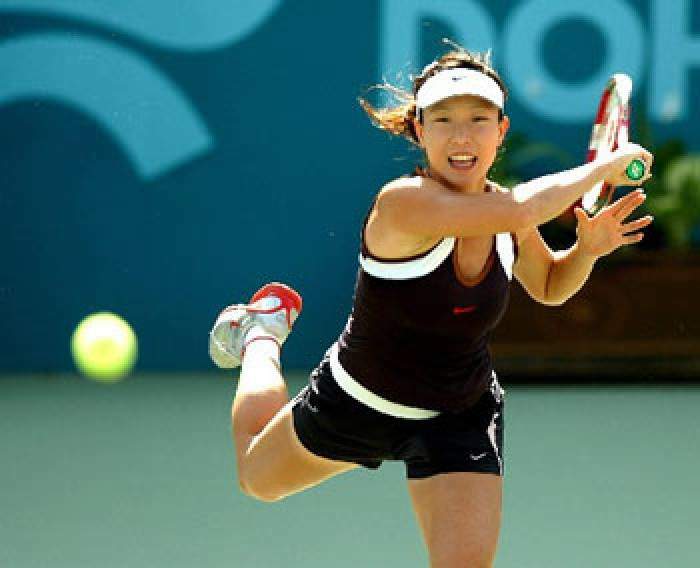 Shuai completes the line-up of elite athletes that includes Serena and Venus Williams, Elina Svitolina, Marion Bartoli, CoCo Vandeweghe, Sorana Cirstea, and Daniela Hantuchová. 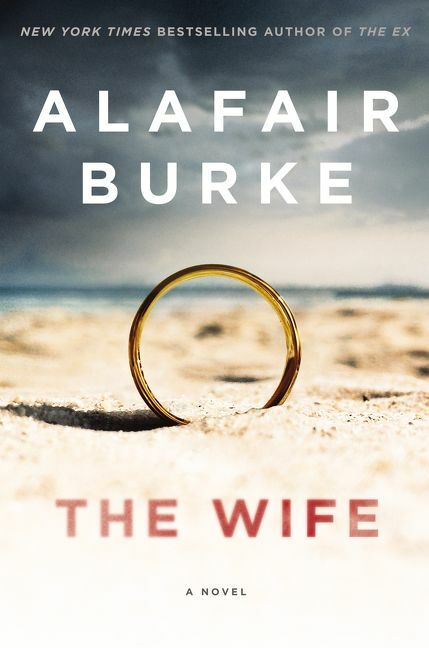 Amazon Studios has acquired the rights to the Alafair Burke novel The Wife, with the author set to write the feature script. Published in January by Harper, the novel seems a perfect fit for this #MeToo moment. The book deal is high six figures and scripting fees put it into seven-figures. Angela, a woman who suffered extreme trauma in her teen years, learns that her celebrity husband may be a sexual predator. 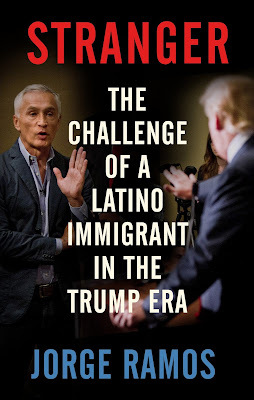 Jorge Ramos, the Emmy-award winning journalist and Univision anchor, answers the question of what it means to be an American in his new book Stranger. This question has taken on a new meaning in President Donald Trump's America. 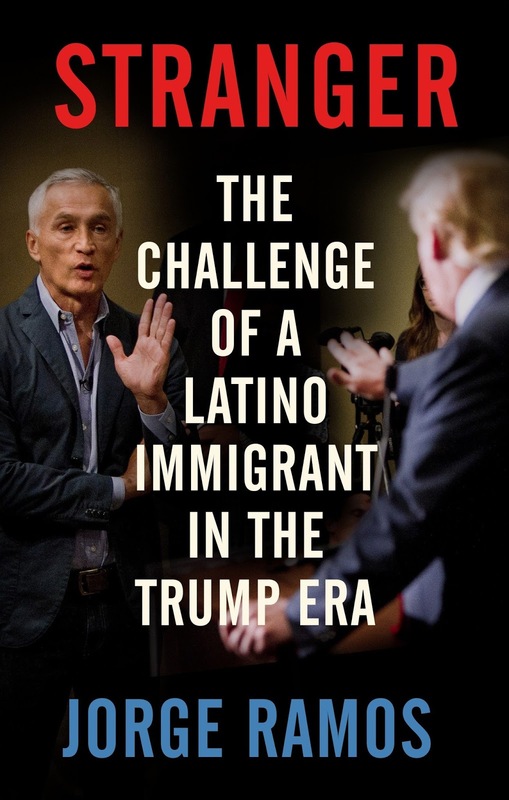 A lot of Ramos' focus is on immigration changing the face of America, and Stranger comes out amidst the debate on the fate of the Dreamers as DACA (Deferred Action for Childhood Arrivals) is set to expire. Seton Hall celebrates at center court after the final whistle. Photo by Jason Schott. 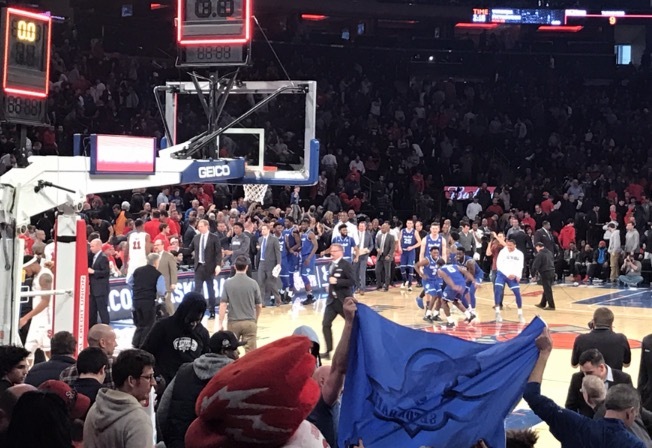 Seton Hall notched their 20th victory of the season as they outlasted St. John's 81-74 on Saturday afternoon at Madison Square Garden. 20 wins usually is the magic number for an NCAA Tournament bid, and the Pirates are now 20-9 overall and 9-7 in the Big East, tying them with Butler for third in the conference. St. John's has now dropped two straight after their magical four-game winning streak. They drop to 14-15 overall and 3-13 in the Big East, now in last place in the conference since DePaul beat Marquette on Saturday afternoon to improve their record to 4-12. Convicted murderers David Sweat and Richard Matt successfully escaped Clinton Correctional Facility on June 6, 2015. The subsequent three-week long manhunt was one of the costliest and most intense in New York history, and it came to an end when Sweat was taken into custody and Matt was fatally shot by a border patrol SWAT team member. Chelsia Rose Marcius, author of Wild Escape, covered this in her role as an investigative news reporter for the New York Daily News. 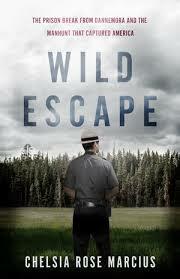 She gets behind the salacious headlines to understand the motives for the elaborate escape. 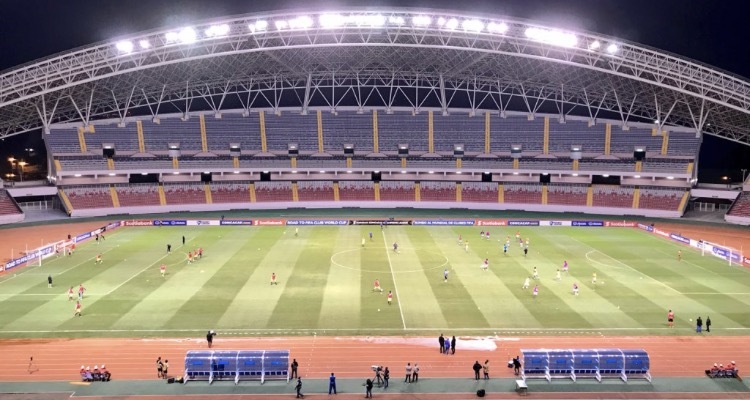 The Red Bulls earned a 1-1 draw against Club Deportivo Olimpia in the first leg of the Scotiabank CONCACAF Champions League Round of 16 on Thursday at Estadio Nacional in San Jose, Costa Rica. 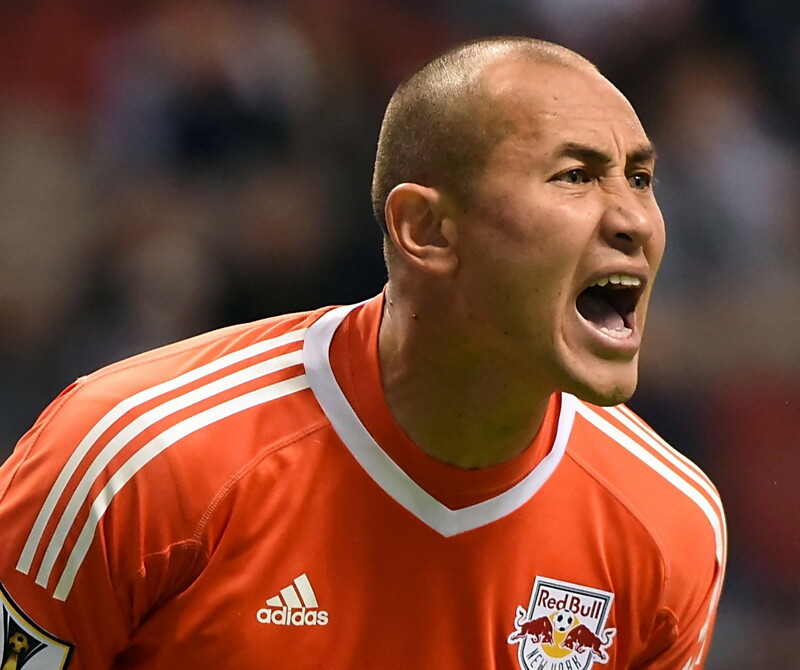 The Red Bulls goal came from Daniel Royer in the 31st minute on a feed from Bradley Wright-Phillips. Brenda Rufener is a long-time advocate for homeless youth and she wanted to tell a story that would give voice to the many teenagers she has helped get back on their feet. 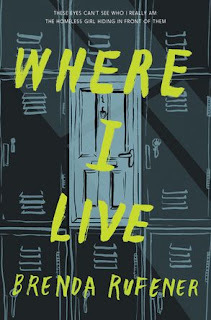 Drawing on those experiences and her own family's financial struggles when she was growing up, Rufener has written a riveting coming of age story of hope's triumph over adversity in Where I Live. 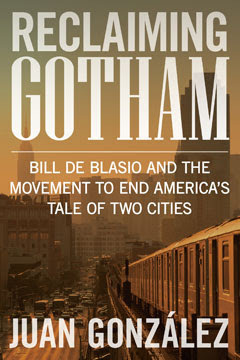 Juan Gonzalez, the crusading columnist formerly of the Daily News, gives the first in-depth account of how a little-known progressive politician stunned the elite of the nation's greatest cuty by winning the mayoralty of New York City in a wild race in 2013. Bill de Blasio, who served in the City Council and as Public Advocate, vowed to end the "Take of Two Cities" and he attacked income inequality as "the moral issue of our time." Those themes led de Blasio to succeed billionaire businessman Michael Bloomberg as Mayor by attracting the support of ordinary New Yorkers still left reeling by the Great Recession in 2008. Tie Break Tens, the new quick-fire, short-form tennis competition, announced that Daniela Hantuchová and Sorana Cirstea have been added to the star-studded lineup competing at its inaugural United States tournament at the iconic Madison Square Garden in New York City on Monday, March 5. They join a dynamic line-up, including Serena and Venus Williams, Elina Svitolina, CoCo Vandeweghe and Marion Bartoli, with just one contender yet to be unveiled. St. John's guard Shamorie Ponds. @StJohnsBball. St. John's stirring four-game winning streak came to an end on Wednesday night, as they lost 85-73 to Marquette, while Seton Hall gutted out a unique win on Thursday afternoon over Providence, 89-77. This comes ahead of the big showdown on Saturday between St. John's and Seton Hall at Madison Square Garden. 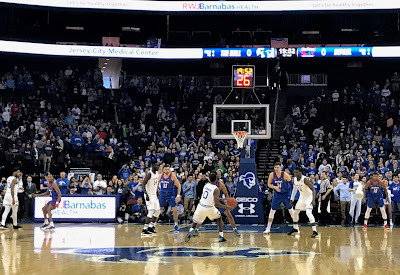 Seton Hall won their first meeting of the season, 75-70, on December 31. New York City Football Club announced on Thursday morning that it will soon be hosting a 24-hour soccer game at Rockefeller Center, giving 500+ New Yorkers the opportunity to play on the Plaza and the chance to be coached by NYCFC players and Head Coach Patrick Vieira in the middle of Manhattan. In anticipation of the Club’s home opener on Sunday, March 11, the Team Villa vs. Team Vieira 24-hour match will kick off at 4:00 p.m. on Friday, March 9 and will continue until 4:00 p.m. on Saturday, March 10. “We want to bring together the City, the people who make it great and our soccer Club that is proud to call this place home,” said Jon Patricof, President of NYCFC. New York City Football Club has announced the signing of Ebenezer Ofori from VfB Stuttgart, pending ITC. The 22-year old Ghanaian international has signed a one-year loan deal with an option for City to purchase Ofori permanently at the end of the 2018 season. 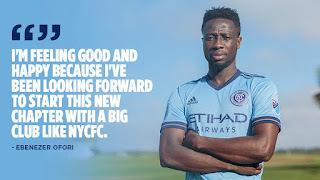 Ebenezer said in a statement, "I'm feeling good and happy because I've been looking forward to start this new chapter with a big club like NYCFC. 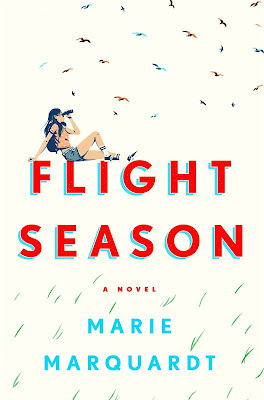 Books: Marquardt Brings Immigration Issues To Light in "Flight Season"
Marie Marquardt is an author, immigration rights advocate, and college professor who has written two novels, The Radius of Us and Dream Thing True, that have dealt with the emotional and physical struggles undocumented youth face in the United States. Marquardt is a Scholar-in-Residence at Emery University's Candler School of Theology and has been an advocate for social justice for Latin American immigrants in the South for two decades. Seton Hall setting up their offense on Sunday. Photo by Jason Schott. 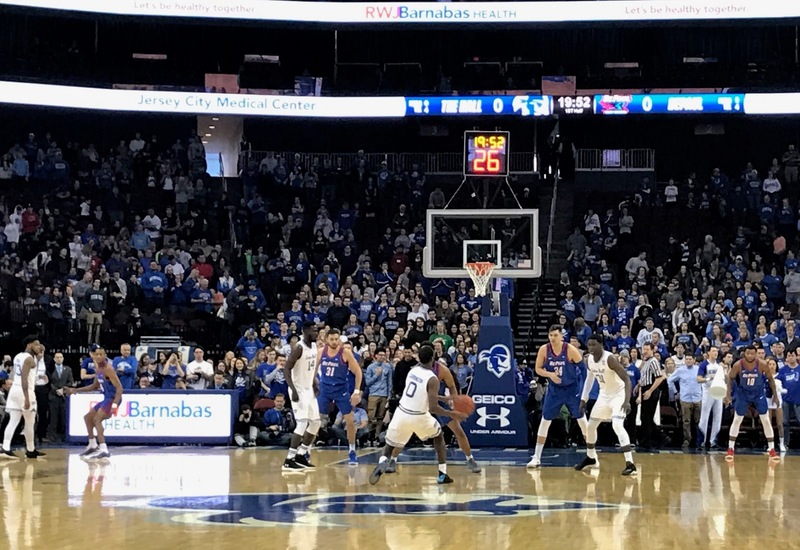 The Seton Hall Pirates, led by 33 points from Desi Rodriguez, outlasted DePaul 82-77 at the Prudential Center in Newark. The win breaks a four-game losing streak for Seton Hall and their Big East record is back to .500 at 7-7 and their overall record is now 18-9. Seton Hall Head Coach Kevin Willard said afterwards, "It was a huge win, 7-7. Each one this time of year -- any win this time of year is a big one, and this was a big one." Shamorie Ponds (center) had another big night. @StJohnsBball. St. John's kept their hot streak going on Wednesday night as they got their fourth straight win with a 77-76 win at DePaul. 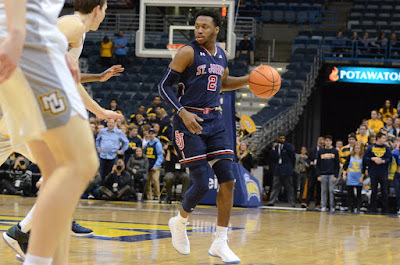 This was a measure of payback for St. John's as they lost to DePaul 91-74 on January 6 in Queens. The Red Storm is now 14-13 overall and 3-11 in the Big East. They are now just a half-game back of DePaul (3-10) for ninth in the conference, two games behind Georgetown (5-9) for eighth, 2-1/2 behind Marquette (5-8) for seventh, and 3-1/2 behind Seton Hall (6-7) for sixth. 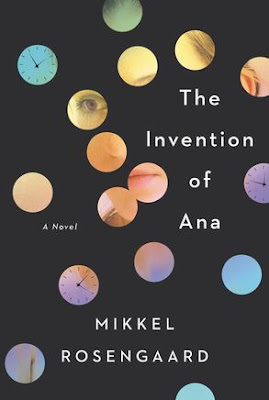 Mikkel Rosengaard's debut novel, The Invention Of Ana, is a story about a young man's friendship with a most peculiar artist. The title character was inspired by the author's own chance encounter with an unforgettable Romanian artist years ago. While on a rooftop in Brooklyn on a spring night, a young intern and would-be writer, who just arrived from Copenhagen, meets the intriguing artist and mathematician Ana Ivan. 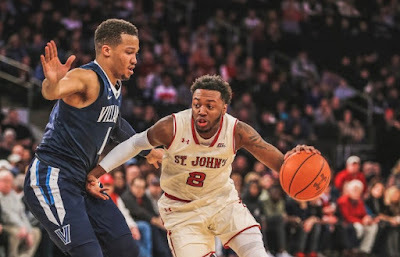 St. John's sophomore guard Shamorie Ponds had another incredible week, which included leading the Red Storm to a win over then-number 1 Villanova. After putting up 26 against Villanova and 44 in a win against Marquette Saturday, Ponds was honored as the Big East Player of the Week for the second time in a row. He was also named the National Player of the Week by NCAA.com’s Andy Katz. The Carnesecca Arena crowd giving St. John's a standing ovation during pregame introductions. Photo by Jason Schott. The St. John's Red Storm have a slogan, "We Are New York's Team. That is certainly true now, as they are the focus of New York basketball for the rest of this season. A couple wins over top five teams, a player on a record-setting run, led by a coach who is one of the faces of the glory days of the program will do that. 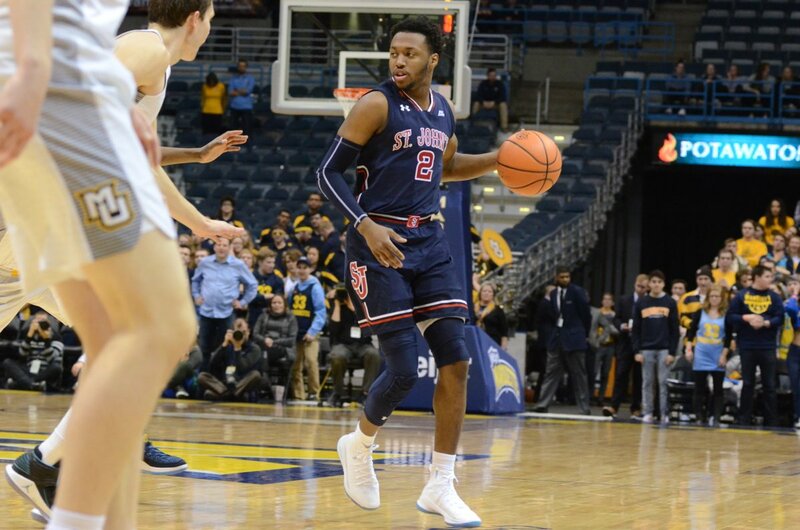 St. John's hosted Marquette on Saturday at Carnesecca Arena, and the building had quite a different feeling than the last time they were there, Tuesday, January 30, when they lost a heartbreaker to Xavier. 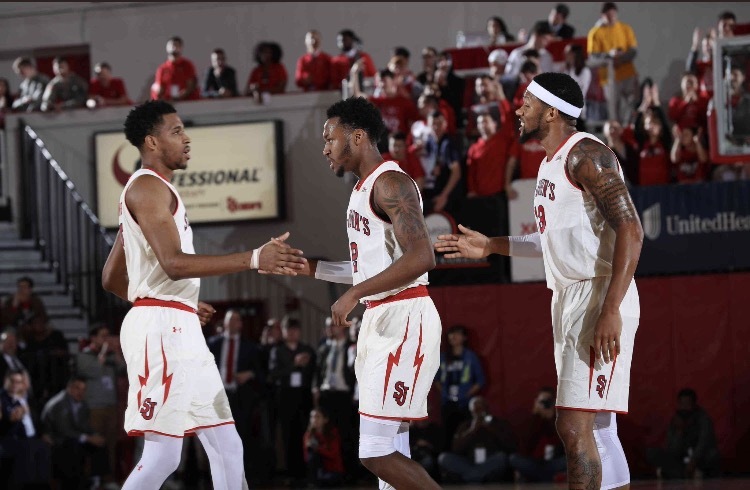 St. John's is heading into Saturday's game against Marquette at Carnesecca Arena flying high after knocking off Duke last Saturday and Villanova on Wednesday night. Duke entered that game ranked fourth in the nation, while Villanova was ranked number one nationally. These were St. John's first wins since December 20 and broke an 11-game losing streak. These are very polarizing political times right now, with a lot of people as active and discussing issues possibly more than ever before. Ryan McIlvain enters this conversation with his novel, The Radicals. 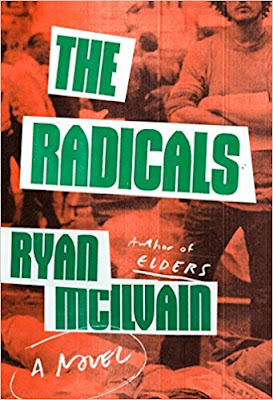 McIlvain creates a story centered around the current moment, starting with the Occupy Wall Street movement, which occurred in late 2010, and all the optimism that went into it, followed by the bitterness that nothing much changed, and then the growing boldness of American companies, and at the center of it, two idealistic young men. 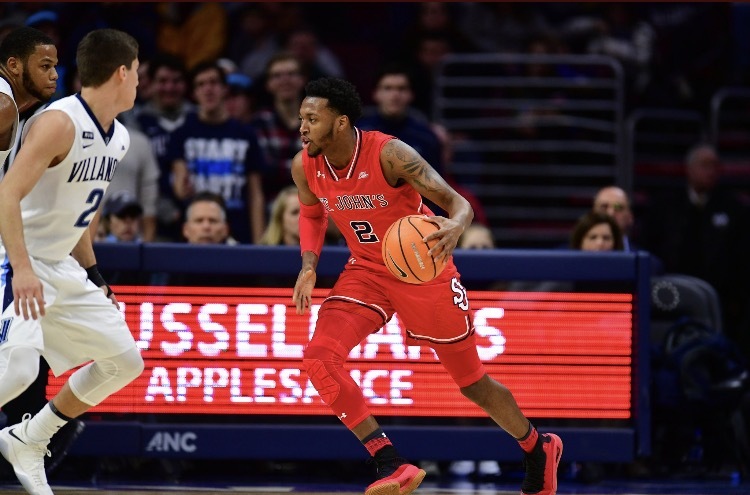 The St. John's Red Storm got their second big upset victory in a row, as they knocked off Villanova, 79-75, on Wednesday night in Philadelphia. Villanova entered this game as the number-one ranked team in the country, and this was just their second loss of the season, and their record is now 22-2 overall and 9-2 in Big East play. This was St. John's first win in Big East play after they started conference play with 11 straight losses. More importantly, this was another statement win for St. John's after they defeated Duke, then fourth in the nation, on Saturday at Madison Square Garden. 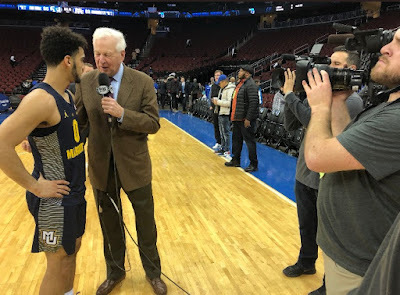 Markus Howard with Bill Raftery. @MarquetteMBB. 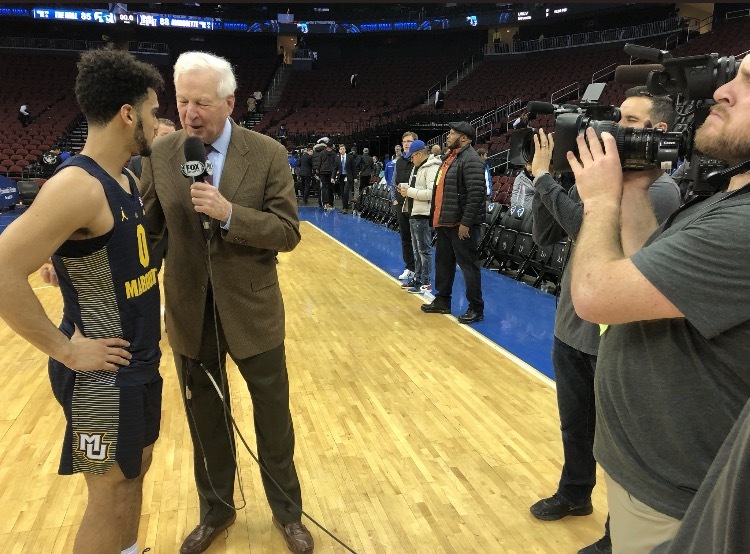 Marquette, led by 32 points from Markus Howard, outlasted Seton Hall, 88-85, on Wednesday night at the Prudential Center. Howard, a sophomore guard who averages 21.6 points per game, put up 32 points on a superb line of 9-13 from the field, 4-6 on threes, and 10-10 from the free throw line. He also notched seven rebounds, well above his season average of 3.3, and three assists. The New York Yankees announced on Wednesday afternoon that they have acquired infielder Russell Wilson from the Texas Rangers in exchange for future considerations. At first thought, the question was is this someone with the same name as the Seahawks quarterback and could possibly replace Todd Frazier? Nope, it is Wilson the quarterback who led the Seattle Seahawks to the 2014 Super Bowl championship, defeating the Denver Broncos, 43-8 at MetLife Stadium. 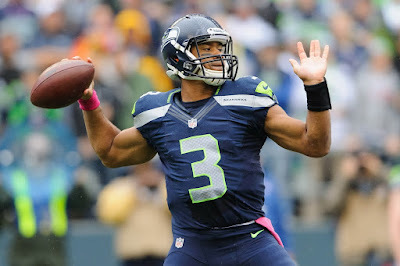 At age 25, Wilson became the third-youngest quarterback to lead a team to a Super Bowl victory. 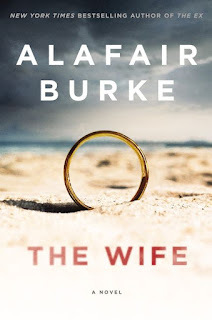 Alafair Burke, whose profile soared with her novel The Ex, in 2016, is back with a domestic thriller, The Wife, a story that asks how far a wife will go to protect the man she loves. Will she stand by his side, even if he drags her down with him? The Wife is centered around Angela, who fell in love with Jason Powell while she was catering a dinner party in East Hampton. The Red Bulls announced the hiring and promotions of the following front office personnel: Tom Bowden, Senior Director, Ticket Sales and Service; Darren Meyer, Senior Director, Marketing Partnerships and Premium Services; Logan Smith, Director, Strategy and Analytics; Justin Baier, Senior Manager, Marketing; and DJ McCaffery, Senior Manager, Facility Operations. 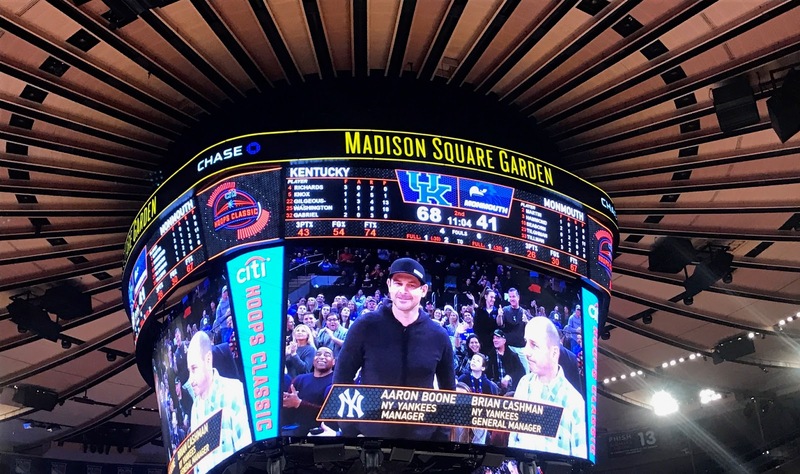 Yankees Manager Aaron Boone and General Manager Aaron Boone at a Kentucky basketball game in December. Photo by Jason Schott. The Yankees have finalized their coaching staff for the 2018 season. Aaron Boone is entering his first season as Yankees manager, and he will have some familiar faces, as pitching coach Larry Rothschild, bullpen pitching coach Mike Harkey, and hitting coach Marcus Thames will continue serving in their roles. The new members of the Yankees coaching staff will be: bench coach Josh Bard, assistant hitting coach P.J. Pilittere, third base coach Phil Nevin, first base coach/outfield instructor Reggie Willits and Major League quality control coach/infield instructor Carlos Mendoza. St. John's guard Shamorie Ponds had big performances against Xavier last Tuesday to join the 1,000-point club, and a 33-point effort in their big win over Duke, and on Monday he was named the Big East Player of the Week. This is the first first player of the week award for Ponds after he has received many conference accolades, including being named the league’s freshman of the week award five times last year and earning a spot on the Big East Weekly Honor Roll for six straight weeks earlier this season. Bashir Ahmed driving for a layup. @StJohnsBBall. 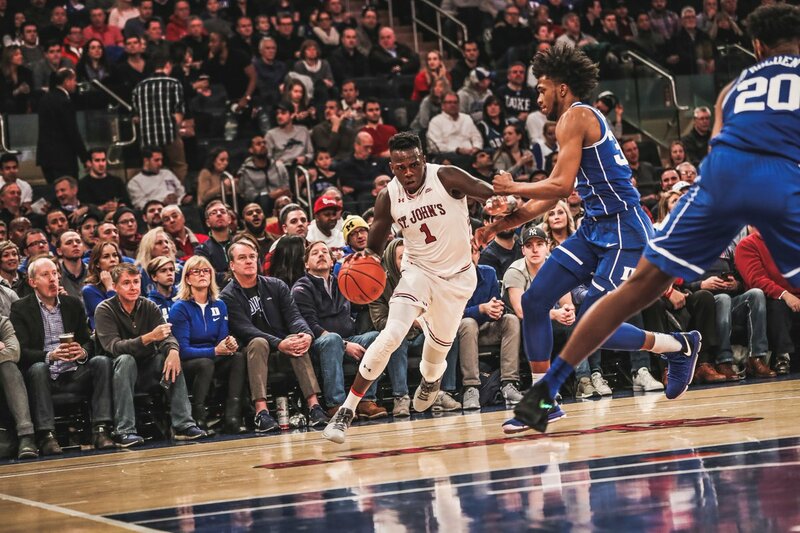 St. John's pulled off one of the biggest upsets in their storied history, as they beat the Duke Blue Devils 81-77 on Saturday afternoon at Madison Square Garden. The game was part of The Garf, a tournament for legendary high school coach Howard Garfinkel. This broke an 11-game losing streak for St. John's, and this was their first win since they beat St. Joseph's at Mohegan Sun on December 20. They improve their overall record to 11-13, while their Big East record is 0-11. Eight of those 11 losses were under seven points, so it was inevitable that St. John's was going to pull one out. This is the kind of win that changes the calculus of a season. 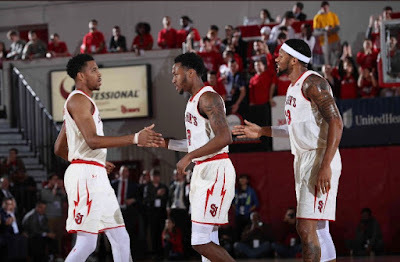 If St. John's can win a bulk of their seven remaining Big East games, go into the conference tournament with momentum and win a couple games there, if not the whole tournament, postseason play is not out of the realm of possibility. Manchester City at Yankee Stadium in 2014. Photo by Jason Schott. English Premier League leaders Manchester City will travel to the United States this summer in the International Champions Cup to play a series of matches during the Club’s 2018 pre-season tour. 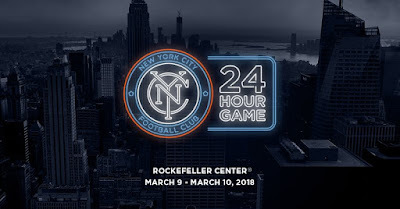 New York City has been confirmed to host one of the matches, with further destinations and opposition teams to be announced in the coming weeks. The Red Bulls have signed Venezuelan midfielder Cristian Cásseres, Jr., to an MLS contract pending receipt of his P-1 Visa and ITC. 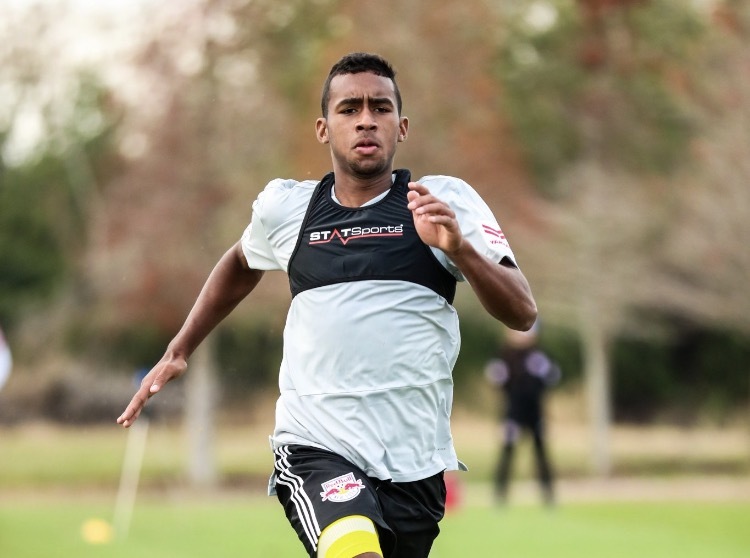 Cásseres, Jr., is a Discovery Signing, and will occupy an international spot on the Red Bulls roster. He is currently with the team in Oldsmar, Florida for preseason camp. 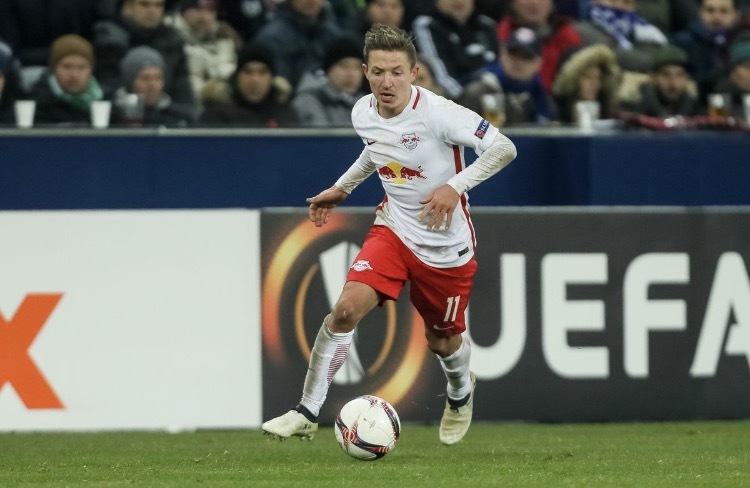 The New York Red Bulls have brought in German midfielder Marc Rzatkowski on loan from sister club Red Bull Salzburg of the Austrian Bundesliga pending receipt of his P-1 visa and ITC. Rzatkowski (pronounced shh-KOFF-skee), 27, will be with New York through the end of the 2018 season and occupy an international spot. The midfielder brings Champions League and cup-winning experience to New York with over 200 professional appearances.